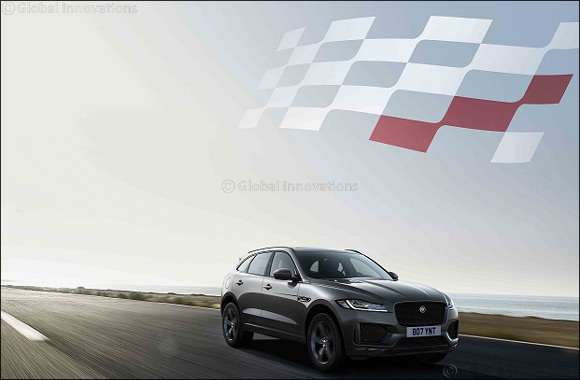 20 March 2019, Dubai, United Arab Emirates – Jaguar has announced two distinctive special edition models for its award-winning F-PACE; the performance-focused 300 SPORT and the feature-packed Chequered Flag. They further enhance the World Car of the Year and World Car Design of the Year‡ award-winning F-PACE range, which offers the unrivalled dynamics and everyday versatility customers expect from a Jaguar performance SUV. Comfort and convenience features include Touch Pro Navigation with Connect Pro that enables the driver to control essential features remotely. Jaguar's 12.3-inch Interactive Driver Display provides a customisable and intuitive driver interface. A Meridian sound system and 14-way electric front seats also form part of the standard specification. The F-PACE's high torsional stiffness enables its F-TYPE-derived double wishbone front- and Integral Link rear suspension to deliver a truly rewarding driving experience. Torque Vectoring and an Electric Power Assisted Steering system – both standard – further enhance agility and response. The latest model year F-PACE gains enhanced smartphone integration with Apple CarPlay and Android Auto as standard.